In addition to CS6 suite editions, the North American deal is also valid for the education versions of Photoshop CS6 Extended, Dreamweaver CS6, Flash Pro CS6, Lightroom 4, Acrobat X Pro, Elements 10, and Captivate 6 – which puts the price of Lightroom 4 (for example) at just $59! Please consult the CS6 System Requirements for complete platform information. There are no upgrade versions of Adobe academic products, so by extension this deal is valid for the full versions only (Windows or Mac OS), and may not be used in conjunction with any other offers. Learn more about the CS6 Student & Teacher Editions, including (importantly) all the differences between these and the regular versions. The coupon is not valid on multiple orders of the same eligible product in the same purchase transaction, but can be used for more than one eligible product. Coupon savings will be reflected in shopping cart when promotion code is applied. Orders must be placed by Sunday, August 26th, 2012, at 11:59pm PT in North America, or by September 16th, 2012, at 11:59pm PT in UK, Ireland, Belgium, Netherlands, Germany, Austria, Switzerland, France, Luxembourg, Spain, Italy, Portugal, Finland, Denmark, Norway, and Sweden. Amazing! Best quality software for the price of one pizza. I also found a 3rd party software site selling Adobe CS6 and all of its software on a back-to-school special 10% off if you use the coupon code BTS. The site is ——. Thanks for your comment Joshua, but that site (name omitted) is absolutely not selling Adobe software legally… Anyone who buys from there and similar no-name sites is going to get ripped off with a fake product as well as jeopardize their payment credentials. One tip-off is the prices are too low to be real… Another is you’ve never heard of the site before. A third is the domain owner information is blocked. A fourth is their “suite” mailing address is actually a box rental at a UPS Store. There are other indicators as well, but it still can be hard for most people to tell… Bottom line, you really, really have to be careful and should stick only with buying from names you trust. I sure would like to see you offer a good discount for us dinosaurs (elderly retirees) who only use Photoshop CS for scrapbooking. I’m still using CS2 and I love it; I couldn’t afford to upgrade to CS3, although there were some nice features that would have been useful for us scrappers. I’ve been using Photoshop since 2004 and love it and dream of upgrading to the latest version, but it’s just too pricey for me. Welcome Beverly, thank you for sharing your thoughts. We’d love to be able to say otherwise, but at this time Adobe does not offer special pricing for seniors or retirees – the discounts are extended only to current teachers and students (within six months). 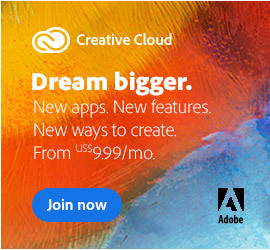 However, if you wanted to consider enrolling for a class at your local community college or similar institution, then you could well qualify to buy these products at the much lower student prices, which can be 80% off as you see above… And for the Creative Cloud, the education discount is 60%. Sorry the news isn’t better off the bat, but trying a solution like that could even pay for itself… Thanks for asking! I know you don’t currently offer discounts to Seniors, I was suggesting you might think about it. There’s no class at our community college offering it. I don’t feel I need a class; I could probably teach the class. I’ve been taking instruction from Linda Sattgast for several years plus I’m also self-taught having dug out a lot on my own from books I’ve purchased, and used video instruction from Adobe and other instructors. I merely made the suggestion as something Adobe might consider for people who are not in the business but use it in their digital scrapbooking hobby. Thanks Beverly, we’ll pass along the idea to Adobe the next time we talk to management. In the meantime, it’s important to clarify that student qualification is applicable for any subject or class material, not just something Adobe-related… In other words, students of literature or art or history or any field can still potentially qualify for Adobe’s education discounts. Also, you’re right there’s a lot of excellent free material out there for self-learning the software itself, including free e-books and free online videos! Take care. I “think” you have covered this before, so apologies if you have. But I’m trying to find out how much it’d be and if there are any discounts for us CS 5.5 users who got the Educational Version and how much it’d be to get CS 6? How does that work? So since there aren’t upgrades for .edu users, one just has to buy the full version? Or another new .edu version? Specifically, I have the CS 5.5 Master Collection and would want to upgrade to CS 6 Master. 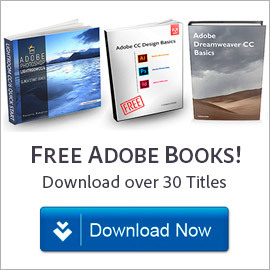 What are the Restrictions of the Adobe Student & Teacher Editions? Bottom line, if you already own a student/teacher version then you can either upgrade as normal to the commercial version (with discounted pricing) -or- instead buy a new and full education edition with your academic discount – just choose whichever is less expensive for your product and upgrade path. In your case, a regular upgrade from CS5.5 to CS6 Master Collection costs US$525, whereas a new/full CS6 Master Collection STE costs US$699 with this coupon – so you’d choose the former, and go with the CS6 commercial upgrade. Hope that fully answers your question – if not, then just post back! Long back in 2009 I had written on a blog as to how software companies themselves are the root cause of piracy by pricing the products too high for common users who earn limited revenues. I have been a great advocate of licensed software and install only licensed software on my systems. I did download a trial of CS6 Web Premium and really liked the product, but post the 30 day trial I have switched back to another competitor product who seem to have taken cue (maybe from my blog article and also my suggestion through their website who are now offering great prices not only for brand new retail but also are offering low upgrade prices for their upcoming software) that is available at close to less than $400 at retail stores and does a relatively good job and suffices my requirements. Some pointers – In today’s world small users usually use Photoshop Extended, Dreamweaver, Fireworks and maybe Acrobat / Illustrator once in a while. I have even mentioned this to Adobe feedback a couple of times that I feel that their pricing policy is skewed to a select few and if they have better pricing policies, though their profits may be same overall revenues could jump significantly. Say for example Adobe have priced their Web / Design Premium at $1899 and say upgrade from CS5 to CS6 (not sure how many upgraded from CS5 to CS5.5) at $749 makes me really wonder the economics of buying such costly software. This results in piracy of software as many users who really need the software but dont have the budget take the pirated route. This is loss of revenue for the company. 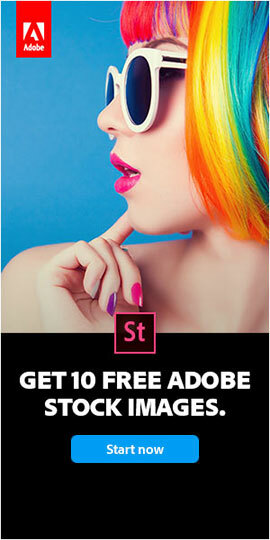 Adobe seems to be targeting the top end of the pyramid for their customer base. They forget that there is an untapped lower end of the pyramid who would really jump up to the idea of reduced pricing. Say if Adobe made their Adobe Web Premium available at for example $499 and upgrades available at $199 don’t they think there would be a huge jump in sale of licensed packages? Take for example they might be paying retailers / distributors around 40% commissions and may be having an Operating Margin of say around 25% (all are my wild guesses based on industry experience and do not and may not be their actual figures) based on current sales, they could very well keep similar margins for their reduced prices and in the end earn similar profits for the entire year given the wider user base. This wider user base could easily be tapped for further upgrades because once he gets your product, the likelihood of him upgrading increases drastically. Now for example based on their current prices they sell around 1 million packs of their licensed software they might be able to increase that to 2-3 million by reducing their prices. In the end with reduced prices and increased user base, I feel there would be no impact on their revenues. 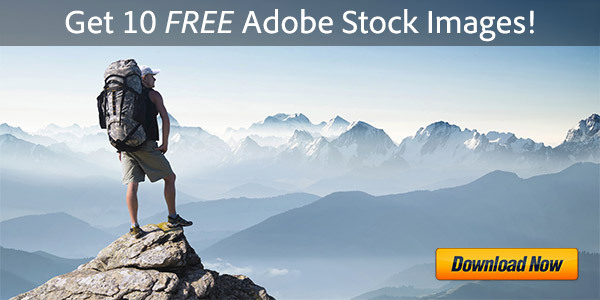 Secondly, Adobe could offer support free products too – like download the software and use it without any support of any kind that is currently offered to users. This would automatically reduce overheads of the company and anyone wishing to go in for the lower-priced product would understand that there would be no support and only download copies would be available under this pricing. This would also reduce packaging costs as now users could directly download the products thus reducing need for printing / packaging / shipping, etc. all of which adds to the costing of the product. I think it is high time a company like Adobe give serious thought to providing their products at reasonable prices. What it can do or possibly even ProDesignTools could run a short survey as to how many more users would buy if the pricing is reduced or even do a small test marketing by doing a short sale of say 1000 copies at say $499 (or whatever price is decided) to find the impact of how reduced pricing could affect sales. Hope other users find my post and suggestion useful and proactive steps are taken by companies in this regard. Thank you for your thoughts SJP. We can’t comment on the accuracy of your business model projections except to say that the product costs you quote are the commercial prices, and Adobe does heavily discount for the education sector (whose customers likely cannot afford as much) – so that the full CS6 Design & Web Premium suite is even lower than the $499 you mention, as outlined in the article above. New Creative Cloud vs. CS6 Traditional – Which Option Is Right for You? Final word, Adobe software piracy is a bad move for many reasons – and not just for the company. Thank you very much for posting my comment. Yes, indeed the prices I have quoted are for the Commercial version and the whole article was regarding better pricing for commercial products. I could not find a better place to comment, and thought this article was the best to highlight the issues faced using the commercial version. Yes, I have definitely heard about the Creative Cloud, but here too the pricing is really skewed. I think they should have had multiple options for Creative Cloud and made monthly charges lower for users who use only a limited number of tools. Like I did download a trial of Adobe Web Premium some time back and has expired now, but I only used Dreamweaver and Photoshop Extended. Fireworks / Acrobat Pro / Illustrator were used by me just once during the entire test period of 30 days. Hence, I think Adobe needs to improve offerings in the creative cloud by offering say Web Premium Creative Cloud at say $24.99 which would help users like me purchase the cloud version. Why I arrived at the figure of $24.99 is because currently for web development the above 4-5 products that I mentioned are used most often and for 49.99 they are offering the complete Creative Suite so it makes business sense for a price of $24.99 for just the Web Premium version. Currently, I feel Adobe is losing business of customers like me because currently as the pricing is too high, I simply use other affordable tools available from other vendors who do a relatively good job. I do miss some features out of the Web Premium suite, but when I am saving close to $1400-1500 I did not think twice before buying the other product even though it missed a few features. I also understand we as users should not question the business model of any company, but once in a while its good to shout out our views, hoping that some day the company understands the actual end user’s requirements and takes steps in this regard. Piracy happens mainly because of prohibitive pricing of products and if companies understand this very basic logic and reduce pricing the users adopting legal licensed versions would increase. I am not saying that offer it free or at a throwaway price, but if certain offerings like boxed packaging / support etc are removed from their costing, overall pricing could easily be reduced. Secondly, once a user adopts licensed software and understands the advantages, he is bound to continue with the company, buying upgrades, buying support and additional solutions from the company. I seriously feel that boxed packages and support should be optionally priced and anyone wanting such a version should be ready to pay a higher price. 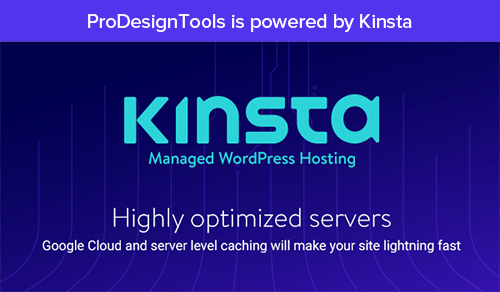 A lower-priced version for users who download from Adobe servers and do not need support for their purchase, should be given the option of a lower pricing, as the company saves a lot in overhead. Well, Creative Cloud is a big step for the company because of all the changes it brings to the business model, but it is just the first step in this regard and we expect to see expansion of the concept and pricing with future releases… Right now it is not for everybody as you mention because if someone just uses say Photoshop and Lightroom, then it won’t be cost-effective over just purchasing the permanent products outright. But for customers who use (or would like to use) more tools and expand their scope of the Master Collection suite (and more), it can be a good deal especially because all upgrades are included. The Creative Cloud does bring lower price points for these products, much lower than ever before, and it also furthers your notion of offering “download-only” to reduce costs (you can’t buy a shipped box). Regarding support, it would be challenging to offer such complex products without customer service, but the bottom line seems to be that Adobe hears the feedback of lower pricing with more choices and is clearly moving in that direction. Their first offering in this regard is not perfect but adds a worthwhile option and is a good value for a significant segment of the customer base. Give it some time and we expect that with CS6.5 and CS7 you’ll hopefully be pleased with the progress. Lastly, don’t forget there exist lower-tier tools as well if you can live with not having the full power of the Creative Suite – applications like Photoshop & Premiere Elements, Photoshop Lightroom, and the Adobe Touch apps.